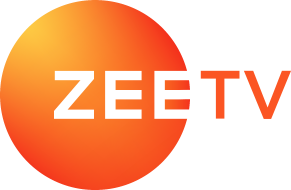 ZEE5 Web Desk is the official staff account of ZEE5’s editorial desk. We have a dedicated team of writers and contributors who enjoy writing on our TV shows, movies, and ZEE5 originals, and are thoroughly committed to creating content that is informative, relevant and entertaining. Even in her simplest avatar, Shraddha looks drop-dead gorgeous. Follow this simple regime to keep your skin woes at bay. No plans for the weekend? Let the Kundali Bhagya actress give you some inspiration. Did You Know That Shweta Mahadik Who Plays Durga Jindal Is A Trained Pole Dancer? Pole dancing will always be her first love says this Guddan – Tumse Na Ho Payega actress who plays the role of a dutiful daughter-in-law on the show. On the show, Laxmi aspires to rule the Jindal household. Hint: It's a romantic comedy based on wedding planners and also happens to be Ranveer's debut film. This stunning actress is known to experiment with colours and doesn't play it safe with black. Doesn't she look like a goddess in #2?